Height Top Farm Holiday Accommodation provide the perfect base for exploring the countryside of the Ribble Valley, Forest of Bowland and Pendle Hill. Whether you are a keen birdwatcher, mammal spotter or just enjoy strolling down a country lane full of wildflowers and buzzing with life, the area offers something for everyone of all interests, ages and fitness. 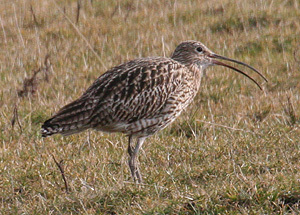 The slopes of Pendle hill are home to breeding Golden Plover, Curlews, Lapwings, Oystercatchers and Redshank. The Forest of Bowland is famous for its heather moorlands and blanket bogs and is also nationally famous as the stronghold for Hen Harriers whose breathtaking aerial flights have earned them the nickname of "skydancers". There are also plenty of Buzzards, Tawny Owls and Little Owls - look out for them sat on top of the drystone walls in the morning and evening. On the farm we have a semi-tame Little Owl that we found about 2 years ago with a damaged wing, Ken nursed it back to health and now it follows him when he's out in the tractor. In the early morning you may spot Sika deer feeding and this is also a good time to see Brown Hares especially in spring before the grass gets too long. In spring and early summer woodland floors are carpeted with Wood Anemones, Bluebells and Wild Garlic, whilst Red Campion, Avens and Meadowsweet brighten the roadside verges. Honeysuckle twines through traditional Hawthorn hedgerows and Wild Roses and then its the turn of Holly, Wayfaring Trees, Sloes and Rowan to brighten the hedgerows with their berries. We also like to encourage wildlife around the farm. 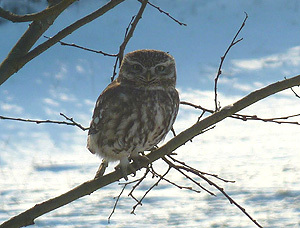 We manage our hedgerows to provide food and shelter for birds and small mammals and encourage wildflowers in the verges. We have put up several birdboxes on the farm buildings and I try to garden to help bees and butterflies. 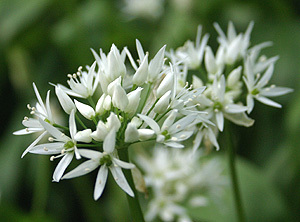 Wild Ramson flowers in spring.